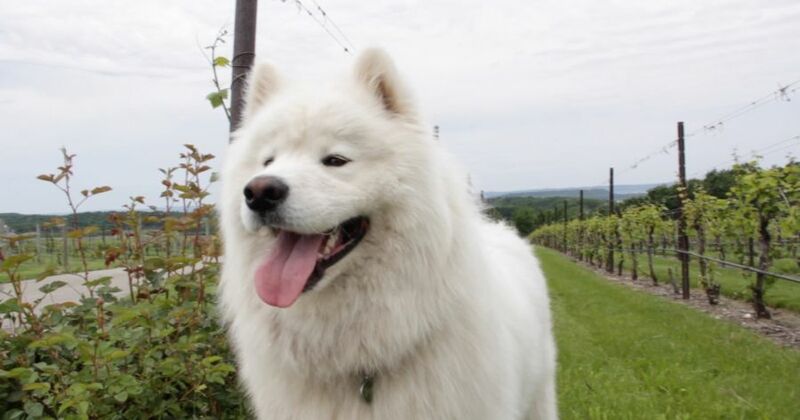 Sitka the Samoyed is the sixth Samoyed to be a part of the Chateau Grand Traverse winery team on Old Mission Peninsula. Sitka is owned by Chateau Grand Traverse’ President Eddie O’Keefe. Besides playing the role of a loving family dog, he also greets people at the winery, plays in the vines, hangs out in the office and has become a favorite among guests. Sitka was also featured in a commercial by Chase Bank and was named one of the Top 10 Winery Dogs by the Drinks Business. Catch Sitka in action in this MyNorth video, and learn about his daily life as part of the Chateau Grand Traverse staff and family!